Watch: Interviewed on Sky News, Economy Minister says calling Israel an "apartheid state" is a blatant lie. 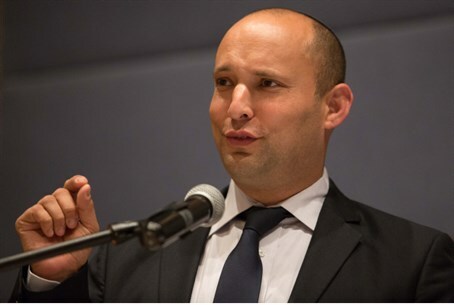 Referring to Israel as an “apartheid state” is a “blatant lie”, Economy Minister and Jewish Home chairman Naftali Bennett said on Thursday. Bennett gave a series of interviews to international media outlets and, in one of these interviews, was asked by a Sky News interviewer whether he is “worried” that the term “apartheid” is being used by some British parliamentarians in reference to Israel. “We’re fighting your war, make no mistake. If this Islamic regime comes and flows over Israel, it’s going to hit London. In fact, it is. They killed a soldier on London’s streets. And they’re going to do that again,” warned Bennett.